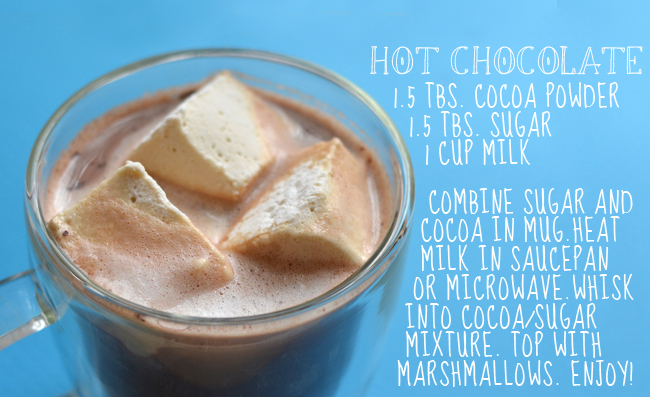 I hope you are enjoying your fair share of hot chocolate this winter. (I know I sure am!) 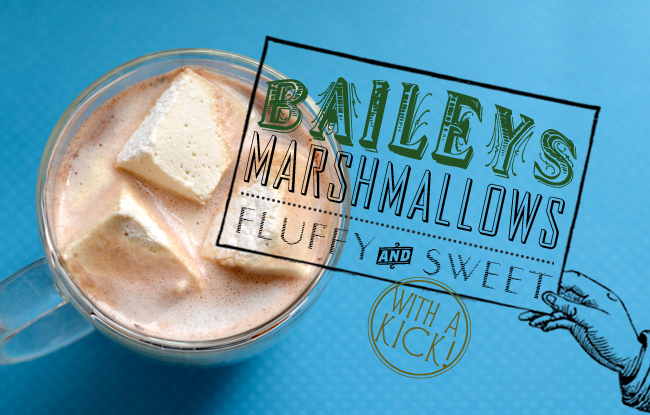 I recently decided that my traditional cup of hot chocolate needed some kick and these Baileys Marshmallows are the perfect solution. 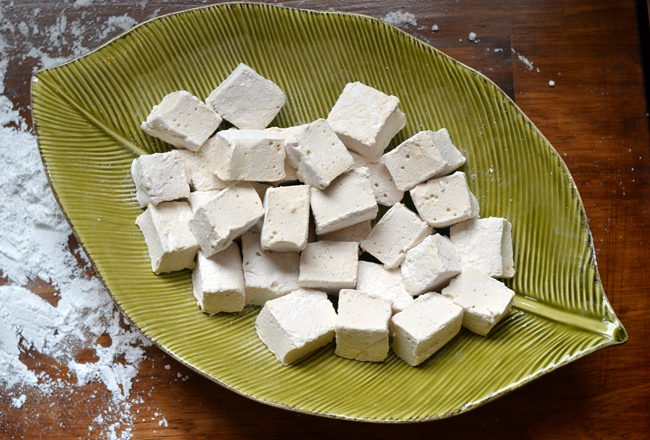 You could spike your marshmallows with any liquor, but Baileys Irish Cream is smooth and perfect for these sweet marshmallows. 1. In the bowl of a stand mixer fitted with the whisk attachment, sprinkle gelatin over Baileys and let sit for 5 minutes. 2. In a medium saucepan, heat sugar, corn syrup, salt and water over medium heat and stir constantly until it comes to a boil. Allow mixture to boil for about one minute, then turn off heat. 3. Carefully pour the hot syrup into Baileys mixture and mix on high. 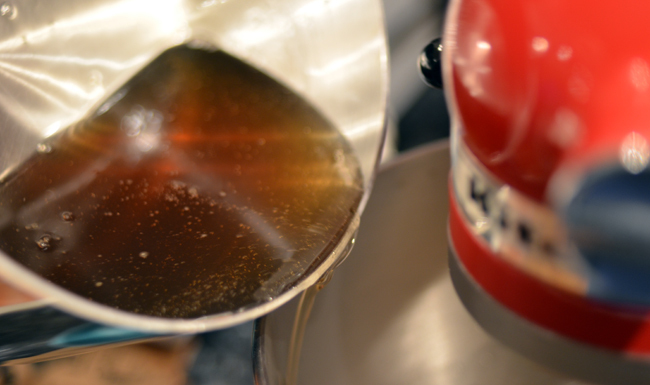 Add the vanilla and beat for 12 to 15 minutes, until mixture has thickened and cooled. 3. 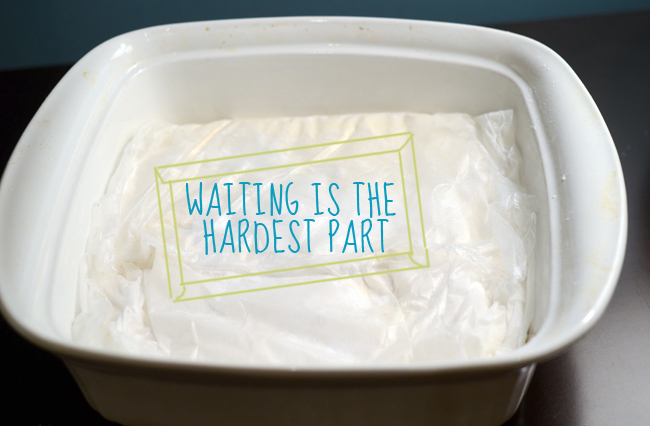 Line a 9-inch-square dish with greased plastic wrap and liberally dust with confectioners’ sugar. Evenly pour the marshmallow mixture into the pan, dust with more confectioners’ sugar, and cover with plastic wrap. Let marshmallows sit overnight. 4. 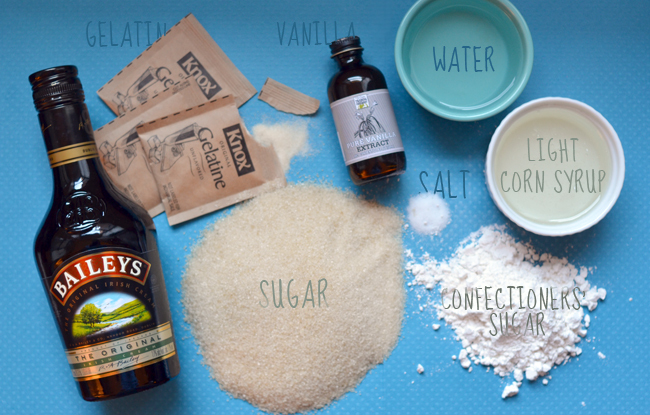 Uncover and flip marshmallow block onto a work surface dusted with confectioners’ sugar. Using a clean pair of kitchen scissors, cut into equal 1 1/2-inch cubes. 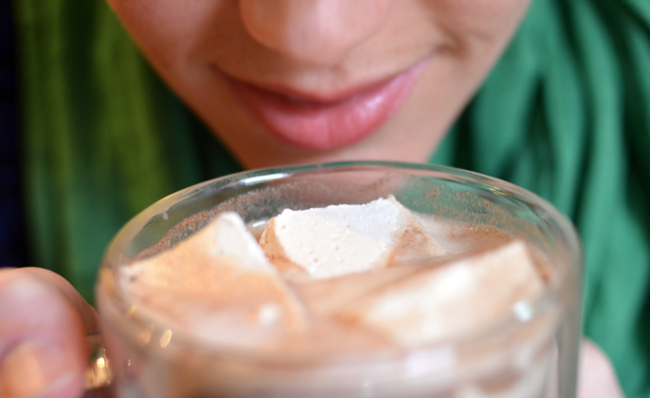 Coat remaining sides of marshmallows in confectioners sugar and tap to remove excess. Store in an airtight container for up to a week. 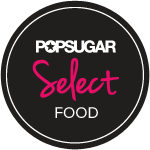 What kind of expiration date are we looking at with these awesome treats? Keep em in an airtight container for up to a week.Thanks! Can you freeze them? I've seen sites say that marshmallows can be frozen to maintain freshness.